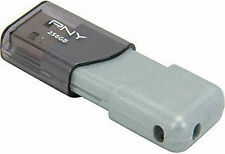 PNY Turbo 128GB USB 3.0 Flash Drive - P-FD128TBOP-GE. PNYs Turbo 3.0 is Built for Speed & Convenience Get the most out of the USB 3.0 port on your new computer. Experience USB 3.0 next generation speed performance with transfer speeds up to 10X faster than standard PNY USB 2.0 Flash Drives. 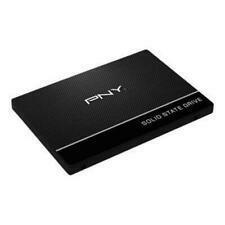 PNY 128GB USB 2.0 Flash Drive - Black. 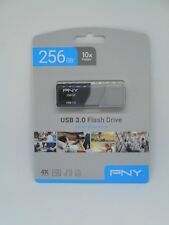 PNY Attache 4 128 GB USB 2.0 Flash Drive. Tested for Key Functions / Ready for Resale. Also subject to change especially during peak periods. Condition : Used - item shows little signs of use. Item is tested and fully working. If you are looking for further details, you might want to check the manufacturer or publisher website. Notes : Included Flash drive only. Slight scratches on the body. Good – This item is previously used and will show signs of wear and tear from normal use. Item is in good condition may have minor to moderate surface scratches, scuffs. PNYs Turbo 3.0 is Built for Speed & Convenience Get the most out of the USB 3.0 port on your new computer. Experience USB 3.0 next generation speed performance with transfer speeds up to 10X faster than standard PNY USB 2.0 Flash Drives. PNY - Attaché 4 16GB USB 2.0 Flash Drive - Black. 16GB storage capacity. Lets you attach the flash drive to a key chain for easy access. Makes it easy to connect a wide range of devices. USB 2.0 and 3.0 interface. Instead of using a traditional cap to cover the USB connector, the drive has a sliding collar that easily glides open and closed. Simply push back the sliding collar and insert the connector into your computer's USB port to transfer files to and from your computer.